Full coverage of the 68th Royal Edinburgh Military Tattoo live from the Esplanade of Edinburgh Castle. 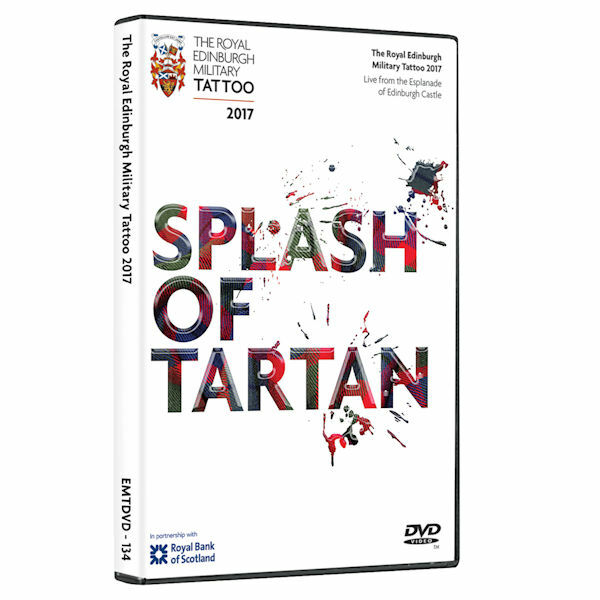 The world's most spectacular Military Tattoo will host more than 1000 performers from across the globe celebrating Splash of Tartan. This spine-tingling presentation includes performances by Massed Bands of Her Majesty's Royal Marines, Tattoo Highland Dancers, the Massed Pipes and Drums plus many more. 1 DVD, 1 ½ hours.